Croatia, Albania, Bosnia-Herzegovina and Montenegro signed a Memorandum of Understanding (MoU) on the construction of the Ionian Adriatic Pipeline (IAP) with Azerbaijani state oil company SOCAR, Croatian media reported. 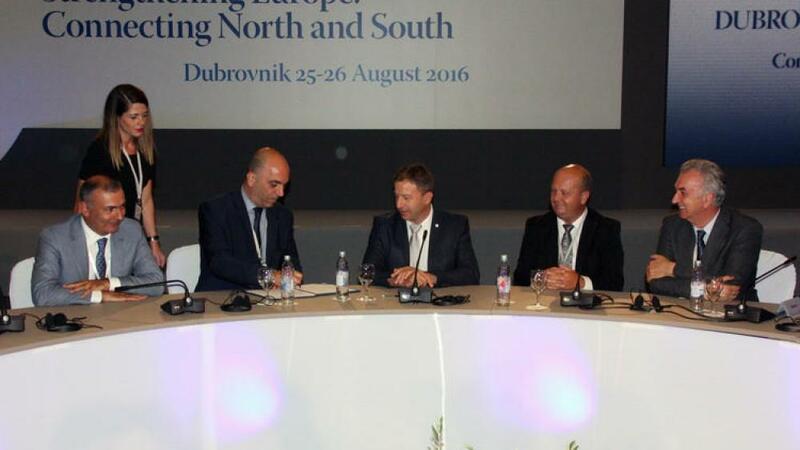 The signing took place within the Dubrovnik Forum on August 26. IAP pipeline with a length of around 516 kilometers will be connected to the Trans Adriatic Pipeline (TAP), which is designed to transport Azerbaijani gas to Europe, in the city of Fier in Albania. The IAP will pass through Albania, Montenegro, Bosnia and Herzegovina, and end in the city of Split in Croatia, where it will be connected to the existing gas distribution system of the country. From Croatia, the gas can go to Hungary and other countries of Central and Western Europe. The capacity of the IAP will be five billion cubic meters per year. The pipeline will be capable of carrying out reverse supply. TAP has already signed memoranda of understanding and cooperation with the developers of this project, in particular, with Plinacro natural gas transmission system operator of Croatia, BH-Gas company of Bosnia-Herzegovina and Geoplin Plinovodi company of Slovenia. Moreover, there has been created a ТАР and IAP working group which regularly holds meetings in order to synchronize the time of implementation of both projects and agree on the technical issues of connection.